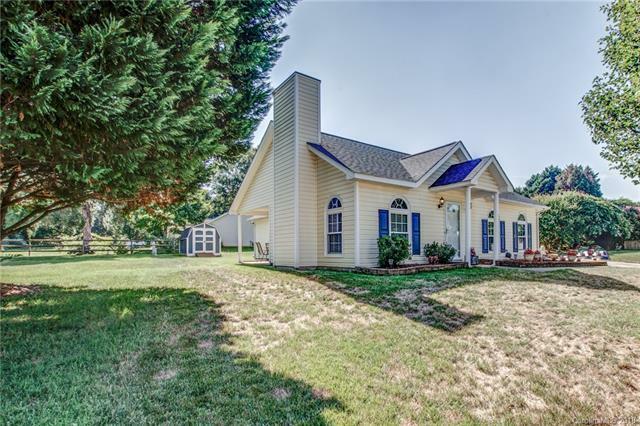 Impeccably maintained Ranch in Blakeney. Vaulted family room with woodburning fireplace. Large dining area open to family room, eat in kitchen with peak through to dining and family room. Spacious master bedroom and master bath which features a skylight. New windows, new lighting, storage shed, extended driveway, beautifully landscaped yard with raised flower beds and private covered porch!